Lois Szymanski is the author of 18 books for young readers including the Charming Ponies series with HarperCollins, the Gettysburg Ghost Gang, co-authored with Shelley Sykes, Out of the Sea, (a nonfiction book about Chincoteague Ponies) and The True Story of Sea Feather, recently released by Schiffer Books. Szymanski is inspired by the people and ponies she loves. Lois – how did you get your start as a writer? What made you decide to write for children? Books were everything to me when I was a child. They were my escape from the real world, my therapy. In college I took a creative writing class and was first published when my professor encouraged me to send a poem I’d written to a literary contest that published winners in an anthology. It would be many years before I believed in myself enough to attempt to publish again. My husband loved the stories I made up for my kids and encouraged me to “Submit something somewhere, anywhere!” I first became published by magazines, including Highlights for Children, U*S*Kids, Turtle Magazine and many others before I had finally enough confidence to try writing a book. It took me some time to find my way, but now you can’t hold me back! 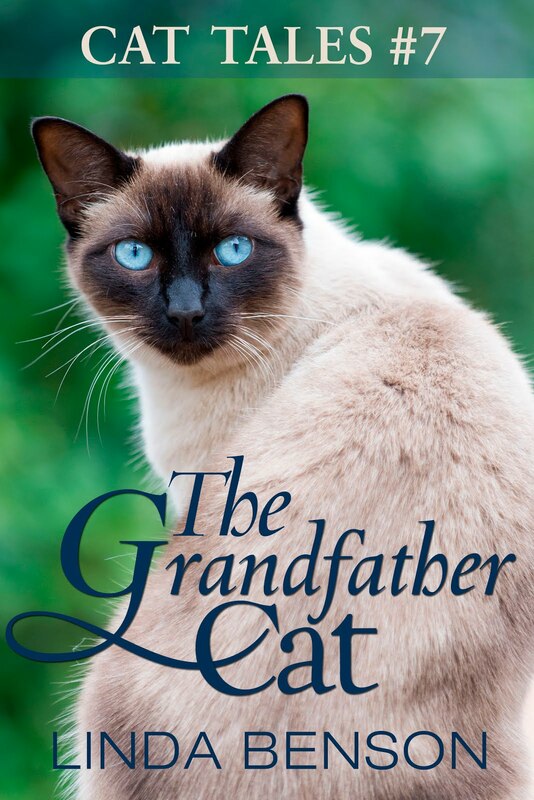 I know you are a fellow animal lover, and many of your books are about animals. Can you tell us about some of those? How has your background with animals influenced your writing? I grew up reading horse books and pretending those ponies were my own. Marguerite Henry was my greatest influence. One year my husband surprised me with a trip to Chincoteague and Assateague Islands. The ponies were everything I’d ever imagined and more. When I started plotting my first book for children I knew two things. It would deal with real issues and it would be a Chincoteague pony book. My nephew had just been murdered and I was having trouble dealing with the loss. It was so senseless. I used that emotion to create a character dealing with the death of his dad. When his mom sends him to Chincoteague to live with an aunt while she gets things in order, he witnesses the birth of a foal and eventually bonds with him. Following the colt on the island, nurturing a new friendship and creating a bait business are the factors that work together to become healing influences in his life. Lois, you and I share a love for the books of Marguerite Henry, and especially Misty of Chincoteague. You’ve also had some experience with actual Chincoteague ponies. How has that affected your life and your work? Marguerite Henry has been a huge influence over the years. My most prized possession is a letter she wrote to me after my first book was released. It hangs on my wall, my encouragement on the rough days! Our own Chincoteague pony, Sea Feather has been the character that keeps giving. Raising him with my daughters, training, riding him, laughing at his personality quirks and loving him are constant sources of inspiration. I know you are involved with a charitable organization called The Feather Fund. Can you enlighten us a little? After that initial trip to Chincoteague 28 years ago we continued to vacation there annually. Each year my children asked for a pony. Of course, we always said no! One year they saved $500. They had a new determination, but Chincoteague ponies at Pony Penning sell for much more than that. The woman, Carollynn Suplee said she had survived a tricky surgery for a brain tumor. She said she was cancer free. “When you get a gift in life you should always give something back,” she said. “I came here to buy a pony for a child.” My husband continued to shake his head, but the woman continued. “It is supposed to be your children,” she said. She told us how, when she was awaiting surgery she found feathers everywhere she went, even in odd places where one wouldn’t expect to find a feather. “I thought God was trying to tell me something,” she said. One day she stepped up to a bible on a pedestal at a tourist spot and it was open to Psalm 91:vs 4, which says “the Lord will cover you with feathers and protect you.” She said she knew then that she would be okay. “When the fireman pointed your daughters out to me a sea gull feather drifted past his finger,” she said, “and now that we are over here look at your daughter’s shirt.” My daughter had worn an Indian shirt with feathers on it! The crowd around us started to chant, “Let her buy it!” and so we did. My children purchased a pony that we thought was a bay pony with white socks. The firemen selling him in the ring held the tiny foal around his neck. After we purchased him we saw he had one white pinto marking on his neck, in the shape of a feather! It had been covered by the firemen’s hands. It was surreal! Wow, that is truly an amazing story. Tell us about your writing process, Lois. How long does it take you to finish a novel? When you get an idea, do you work from an outline, or just start writing and see where it takes you? My first novel took a year to write. Most of my novels take between six months to a year, depending on how well I know my character. Sometimes it takes awhile to work out who my character is, but once I have a handle on that I can really roll with it. Before I begin I always know the main conflict, the climactic scene and the end. Occasionally I use an outline. I used an outline for my nonfiction book on the Chincoteague ponies. I recently wrote a YA murder mystery. About five chapters into it I knew I needed to do an outline. There were too many intricate twists with aspects I had to allude to early on. So, I guess whether or not I outline depends on what I am writing. Lois, you have published with both large publishers and small. Can you explain some of the differences in working with each? Large publishers definitely offer larger advances and they sell more copies. They are a great source of immediate money. But I find that larger presses usually put a book out of print after X amount of years. Small presses give small advances and sometimes no advance, but they keep the book in print forever. Their royalty rates are usually the same as a large publisher. I consider those books my retirement fund. After I am old and gray I will still be getting checks every six months for the sales of those books. The more books I sell to them the bigger the retirement fund! I should mention that I find you can trust most large publishing houses, but not all small presses. If you go with a small press make sure they have years of success behind them. Find out if they work with known distributors and talk to other authors who are with them. One small press I’ve sold books to is one of the biggest regrets of my life. I won’t name names but almost every author with them will tell you how (unbelievably) small their checks are and how unreliable they are with keeping books in stock and living up to what they promise. So the key to choosing a small press is to learn as much as possible about them before signing on that dotted line. You have some other unusual hobbies and interests, too, Lois. Care to talk about those? I am on a paranormal investigation team and I enjoy that very much. My interest in the paranormal began when my husband and I moved into an old farmhouse years ago. We did not know that it had a history of tenants leaving because of odd events. A ghost definitely resided there! The paranormal team did not come until years later. I met some of the people I work with on the team when researching for the Gettysburg Ghost Gang series. There is nothing more exciting than spending an evening in a place purported to be haunted, deciding there’s nothing there, and then downloading pictures and tapes and finding odd figures in the photos or hearing EVP (electronic voice phenomenon) on tape! Letterboxing is fun, too. It’s my exercise plan, since it usually involves a hike. Letterboxing started in the 1800s in England. Back then, there was a secret book of clues passed around. Now, you can go to http://www.atlasquest.com/ or http://www.letterboxing.org/ and find clues to boxes in your own neighborhood. Letterboxes are hidden all over the world. Inside, there is always a stamp and a journal. You carry a personal stamp and your own journal. When you find the box you stamp your journal with the box stamp and record your find and then use your personal stamp to stamp the journal in the box, adding your trail name, hometown and date so the letterbox planter has a record of who has visited. I hear you have a brand new book out. Tell us about that one. 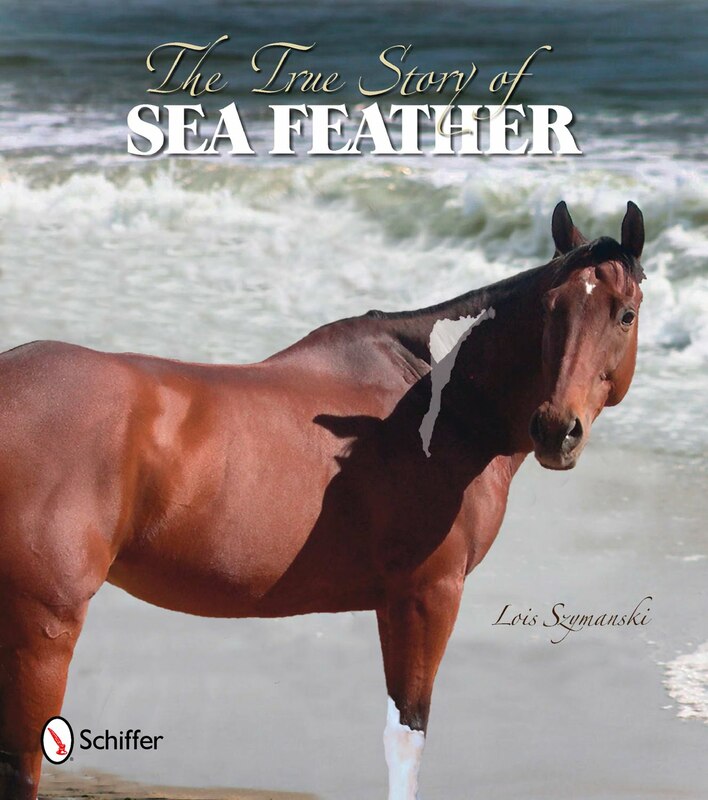 The True Story of Sea Feather is the story of how we got our pony, the first pony purchased by cancer survivor, Carollynn Suplee. The book has color photos of the real pony. Even though it is written in the format of a middle grade novel, I think Carollynn’s story would inspire anyone! But then, I am biased! Are you working on any new books or projects we should know about? I’m currently working on two books, a middle grade paranormal mystery and a coffee table type book about the herds of Chincoteague. This one is unique in that it will identify by name many of the herd favorites and share some of their stories, like the time firemen were rounding up ponies and penning them on Assateague as they always do days before the annual swim. One of the horses - the stallion Miracle Man - saw the saltwater cowboys on the island and he knew what was going on. It’s an annual event and he is a smart boy with a good memory. He decided to skip the pen on Assateague where all the other stallions would attempt to steal his mares. He looked at the cowboys and headed for the bay, swimming his herd across to Chincoteague and parading them down Main Street to the pens on the carnival grounds- four days early! A researcher and a photographer are doing this book with me. I also have a rhyming picture book called Wild Colt under contract and forthcoming. Okay, final question, from one animal lover to another – what’s your favorite animal? Do you really need to ask?! LOL! 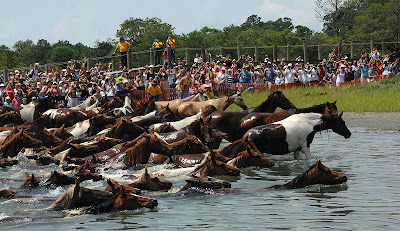 Chincoteague Ponies first, and then all horses top my list. But, dogs run a very close second. My Shetland Sheepdog Ryley is my constant companion and my best friend. Incidentally, his real name is Solomon’s Rylant. The Solomon part comes from his background, but the Rylant part comes from one of my favorite children’s authors, Cynthia Rylant. Wow! Thanks so much for stopping by, Lois! Extra chances for reposting or retweeting this interview (let me know) and for new and old blog followers. Contest runs through midnight, March 15, 2011 Pacific Time, when one random winner will be chosen - US addresses only. Good Luck, Everyone! Lois Is a great person who happens to write. It is reflected in all that she does: books, charity work, hunting ghosts, the list goes on. Lois is also a great mom and grandma. Everything she touches reflects her pride. Lois also teaches writing classes and is a great mentor of other budding authors like me. She is an all around wonderful and kind person. I met Lois in 2007 at Chincoteague and cried as I heard her story and how the Feather Fund came about. What a great organization this is and to see the love and excitement on those kids' face when they get THEIR pony!! I can't wait to purchase the book on the herds!! Lois is as wonderful a person as she is a writer. Her books are imaginative, fun, and full of adventure. I've had photos sent to me for my blog from several of the kids who were able to get ponies through the Feather Fund organization and know first hand what a difference this has made in their lives. Bravo to a truly inspirational person with a whole lot of stories to tell. I can't wait for her next books to come out. Great interview and blog as always. I'm going to make sure there is a link on my Whirlwind page! I love this post and I'm so glad to have found your blog, Linda! What an wonderful interview, Linda. Lois sounds lovely, and I'm sure my nieces would love her books. I'll have to go and find them on Amazon or somewhere. Thanks to everyone who entered. Contest is now closed. The winner of THE TRUE STORY OF SEA FEATHER is Pony Writer! and she has been contacted. More author interviews and more giveaways coming up soon! !